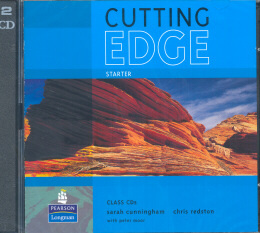 Cutting Edge is a series that helps students get the maximum value from their learning by giving them thorough language work, inspiring topics and plenty of real-life practice. Gives students a powerful grasp of grammar and vocabulary. Eachmodule has an extended speaking activity with a genuine need for communication. Each module provides up-front grammar, comprehensive skills work and pronunciation practice. A handy mini-dictionary is included with each Student s Book.ning and regular progress tests - everything students need to help them get the best possible results.